At the start of the 2017-2018 season, the Las Vegas Golden Knights were an ambitious expansion team with mixed reviews. Now, the “Golden Misfits,” as they’ve named themselves, are 4 wins away from winning a Stanley Cup title in their first season. This feat hasn’t been accomplished for some time and is a testament to what is brewing in Las Vegas. An expansion team was in the works long before the Las Vegas Golden Knights were announced. It wasn’t until June 2016 that Las Vegas beat out Quebec for a new team. The team was part of the 2017 NHL Expansion Draft and were able to select an unprotected player from all 30 NHL franchises. Teams can choose to protect certain players from free agency, trades, etc. This is where the term “Golden Misfits” comes from, as these players feel they weren’t considered good enough to warrant protection. Some of the more notable signings included goalie Marc-Andre Fleury and winger James Neal. 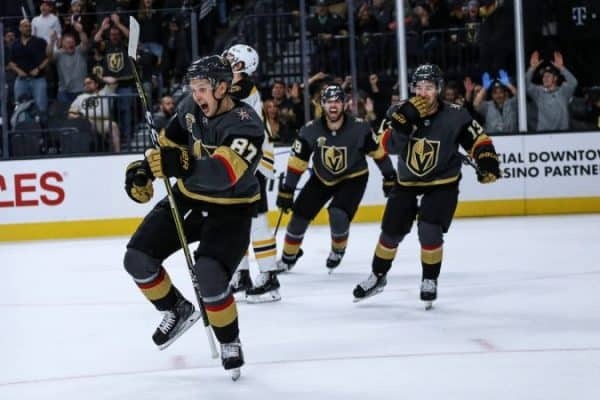 The Vegas sportsbooks had the Golden Knights as the team with the lowest odds of winning the Stanley Cup this year even before the NHL postseason was set to begin. They were a new team with no chemistry. Big names like the Pittsburgh Penguins, Boston Bruins, Nashville Predators and Tampa Bay Lightning were looming in the background. However, these players were able to finish with the second-best record in the regular season and have stomped their way through the Playoffs. They swept Los Angeles and steamrolled both San Jose and Winnipeg. The Golden Knights’ success boils down to a culmination of factors. For one, they have a strong goalie in Fleury. The 3-time Stanley Cup winner is coming off a Stanley Cup-winning season with the Penguins. Pittsburgh seemed more than ready to part ways with the 33-year-old after moving him to the bench. To be fair, his contract took a nice chunk of cap space, but it appears it was Pittsburg’s loss in the end. Fleury gave the Knights an instant leader and veteran with winning experience. Despite his age, Fleury posted career bests in save percentage (.927) and goals-against average (2.24). Vegas was assisted by the Florida Panthers in more ways than one. They picked up ex-Panthers coach Gerard Gallant after the Florida franchise fired him. The Golden Knights also acquired star center Jonathan Marchessault from the Panthers—another unprotected outcast. The Panthers did the Knights one better by trading forward Reilly Smith for a fourth-round pick. These 2 players did for the offense what Fleur did for the goalie position. William Karlsson became a prolific scorer for the Knights and in the entire NHL this year. The former Anaheim and Columbus player tallied 43 goals this season. This is a drastic improvement compared to the 18 goals he scored over the past 3 seasons combined. Karlsson finished third in the total scoring this year behind Patrik Laine and Alex Ovechkin. Karlsson’s resurgence is reflective of the theme of the Las Vegas Golden Knights. That redemption angle is the last piece of the puzzle. The Golden Knights are indeed a bunch of misfits. They were cast out by the former teams and left to fend for themselves in a new expansion team. People forget Las Vegas is in the middle of the desert, which doesn’t exactly scream “hockey town.” The Vegas front office capitalized off the NHL Expansion rules in order to assemble what has turned into a winning formula. Now, these players that were once told they weren’t good enough to play hockey in the big leagues are close to being told they’re Stanley Cup winners. The battle isn’t done yet, but the Golden Knights proved that even the team with the lowest odds can come out on top.